This competition category is aimed at developers and asset managers looking to showcase examples of innovative, catering and leisure projects that reflect exemplars of how the hospitality industry is reshaping the overall customer experience, both in individual leisure projects and integrated with mixed use, retail led environments. 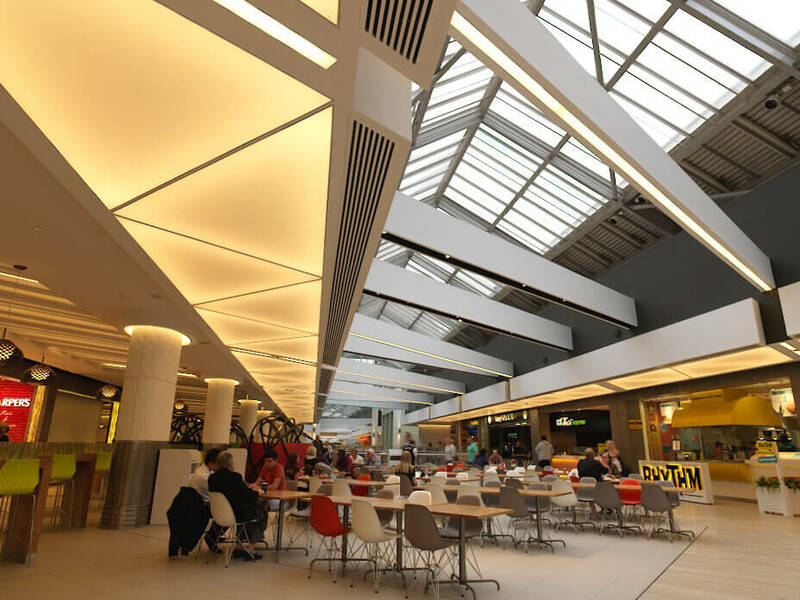 At Lakeside the Intu team set out to reposition the dining offer and improve the customer experience by providing quality brands in a contemporary and aspirational setting. Working closely with Rawls & Co and the client Intu, Working Environments helped specify, trial and supply the loose furniture package. The large project included covers for 600+ customers over a number of zones with a different specification of in each. Products were sourced from a number of manufacturers including, Vitra, Sancal, Feek with tables being supplied with bespoke wood and corian tops. The judging team noted "Through the design led introduction of attractive ceiling finishes, intelligent lighting, diversified seating and some very quirky amenity spaces, the objective has been delivered".